Click Here Web Design can provide ongoing website maintenance, search engine optimisation (SEO) and content updating services for your new or existing website. Regular ongoing basic maintenance of your website is essential to keep up to date with software upgrades and security updates. Unfortunately, there are many hackers online today who can target websites that are not updated. Regular content updates, and citation work can build search engine optimisation and help ranking positions in Google, which ultimately leads to more customers. 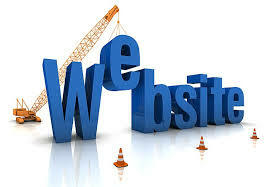 SEO services including article writing citations and much more. We have a range of packages from just $50/month.